By now, I am certain that you are all aware of the iPad 2, and how the user can purchase the flexible, fold-able Smart Cover to protect the front. However, what about the back of the precious iPad 2? This is probably the mentality that led Bracketron to develop the Back-iT. 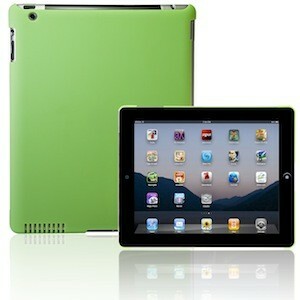 It is a “low-profile, precision-cut polycarbonate back that securely holds and protects your iPad 2 from scratches and scuffs”. It comes in the same colors of the previously mentioned Smart Covers, which are all pastel and include a “soft-touch design for superior grip for interacting and carrying your iPad 2”. You should be able to purchase the Back-iT from the official Bracketron site here for an MSRP of $29.99 in pastel colors of gray, blue, pink, green, and orange. While you are there, you might want to check out Bracketron’s Style-iT, a stylus and pen that also come in the same pastel colors. I highly suggest a color that matches.